Radio might be taken for granted here in the U.S., but in other parts of the world it’s still a vital link in receiving underground information in repressive regimes. This story out of North Korea from NK News shows just how important it is in some other parts of the world. The radio therefore leaves users to depend totally on delicate hand skills to turn the manual module in micro-inches every time. NK News staff could, however, easily experience the frequency changing with slightest turn of the module either to the left or right. This is interesting. It’s clearly an adapted PCB from another device, which looks to have been modified with a few additional capacitors and other components on the front end and possibly the amplifier area. It’s tough to tell how much is in use for this modification, though. This might have been from a tunable radio smuggled in elsewhere and modified, or could have been a state authorized radio modified to tune a different frequency range. It looks like two new coils are in place, which could correspond to an antenna and oscillator coil. These would definitely need to be replaced to change the tuning range of the radio. They could be coils to adjust an RF tuning range for two stages of an RF amplifier, though. It’s tough to tell from the circuit board the principle of operation of this radio – it could be a superheterodyne receiver, which would offer a bit better performance and would be able to tune the FM signals as well as AM/Shortwave, but it could also be a tuned radio frequency detector which would be able to pick up the AM and Shortwave bands only in most circumstances. 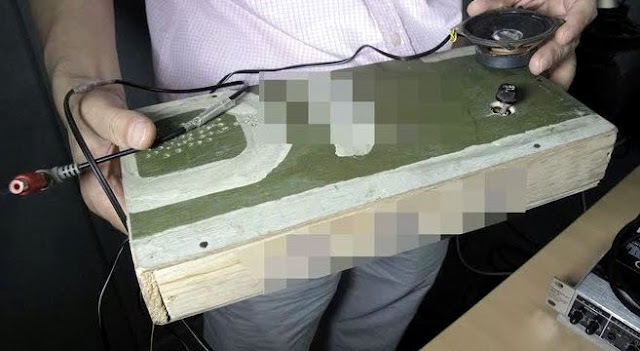 The superhet would leak a low-level oscillator signal that could potentially be picked up by counter-intelligence agents to determine if someone was listening to a prohibited broadcast (although the average law enforcement officer in North Korea might not be sophisticated enough to operate direction finding equipment to find such a receiver) but would be able to pick up FM transmissions as well. The TRF type radio wouldn’t leak a local oscillator signal but might not be able to effectively decode an FM transmission depending on its construction. Really, it’s likely there are a variety of underground radios with different capabilities depending on what can be scrapped together at the time. This all goes to show that hacking circuits is more than just a hobby – it can have real, life-changing implications for people in other situations using the same skills. That’s pretty powerful. For more about this particular radio, visit the Original Article at NK News. For more about underground information access in North Korea in general, The Atlantic has a great piece in their April 2011 issue. 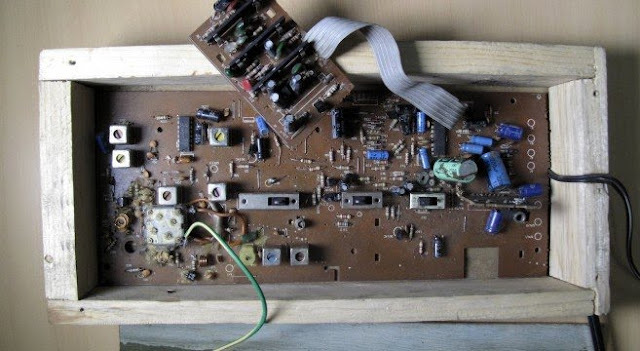 This entry was posted in Commentary, DIY, Photos, Radio and tagged defector, defector radio, defector's radio, homemade radio, nk news, north korea, pirate radio, political prisoner, reform radio, underground radio, underground receiver. Bookmark the permalink.